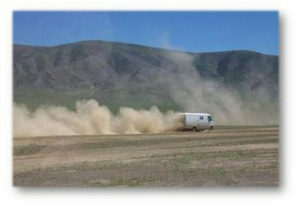 California dust control company offering palliative, dust mitigation, and dust control. 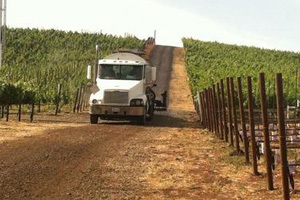 We specialize in road dust control in Napa, Sonoma and surrounding AVA's in and around Santa Rosa, Healdsburg, Calistoga, St. Helena and other dust sensitive regions throughout central and northern California. 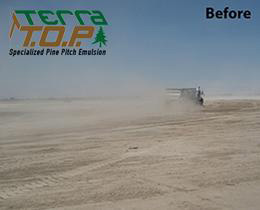 We use organic dust control products like Lignin (Lignosulfonate) as well "Dust Off" (Magnesium Chloride) and Lignin/Vegetable protein blends like Terra Lig Pro. 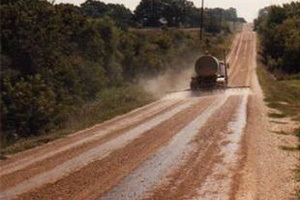 The type of dust control, dust suppression, or soil stabilization is determined by the conditions and desired outcome. . Call or send us an online request today....we can help. 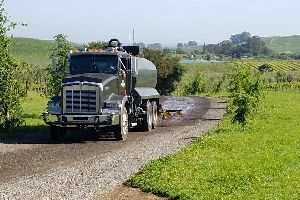 We specialize in road dust control in Napa, Sonoma and surrounding AVA's in and around Santa Rosa, Healdsburg, Calistoga, St. Helena and other dust sensitive regions throughout central and northern California. We use organic dust control products like Lignin (Lignosulfonate) as well "Dust Off" (Magnesium Chloride) and Lignin/Vegetable protein blends like Terra Lig Pro. 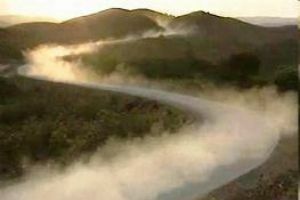 The type of dust control or soil stabilization is determined by the conditions and desired outcome. . Call or send us an online request today....we can help. .
Also known as 'Dust Off', usually one of the most cost effective ways to handle dust control in a temporary fashion by capturing and holding moisture that already exists in the air to suppress dust where applied. It does however wash off in the rain and it also changes soil pH and can be corrosive on equipment. Terra T.O.P. is relatively new and is quickly becoming one of the best dust control products on the market for the money. It is a Lignin/Terra Lig Pro/Rosin blend that pulls water out of the surrounding environment and is NOT water soluble so it can stand up to rain and actually strengthen. Light shot rate allows you to use much less product so the soil pH is less effected by the tiny amount of Magnesium Chloride in the Terra Lig Pro product. 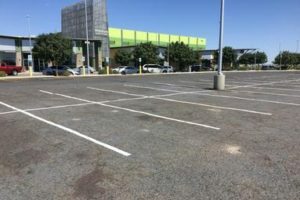 Lignin based dust control is ideal for sensitive areas such as parking lots and driveways where there is a lot of foot traffic, without the worry of people tracking it inside building on their shoes. Lignin works well in clay based soils, DG or base rock. The key is to have adequate fines to bind the soil together. It does notwork well on sandy soils or soils with a lot of alkali. In case of alkali, you need to introduce a surfactant to the soil prior to application to ensure maximum penetration of the product. It also does not work well on red cinders. If you like Dust Off and Magnesium Chloride products, you will love the Terra M product. Basically a 60/40 blend of Terra Lig Pro and Mag Chloride (Lignin/Vegatable Proteins/Mag). Cost effective dust control that will hold up to extreme heat and rain much better than straight Mag Chloride products and still keep the hygroscopic properties that make it such an effective dust suppressant, especially in costal areas. Terra Lig Pro is relatively new product that has tested really well the past couple of years we have used it. Straight Lignin can get temperamental and this new Lignin blend is significantly more forgiving and seems to do much better in all soil types. It also holds up better in summer rain storms. 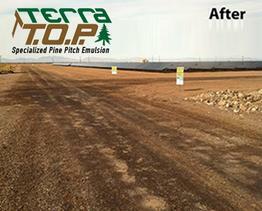 Terra Lig Pro is safe to use around sensitive areas and will last 4 to 6 months based on weather and traffic. Send us your info...we will shoot you a price! quick and easy and you will get a quote in minutes! We are able to send you an estimate based on the square footage of the area you need treated. In quote details just tell us the size of the area i.e. 500 ft. long by 12 feet across and we will take it from there. If you already know the sq. footage just put that in.